As a result of Gore’s long-standing effort to solve complex challenges through physician collaboration, this innovative minimal wall injury design features two independent, conformable discs to span and cover the anatomy, allowing for rapid endothelialization. It is a permanent implant consisting of a nitinol wire frame covered with a thin ePTFE membrane. The ePTFE material, invented and manufactured by Gore has been used in open-heart surgery for more than 35 years with a history of proven safety in medical implants. 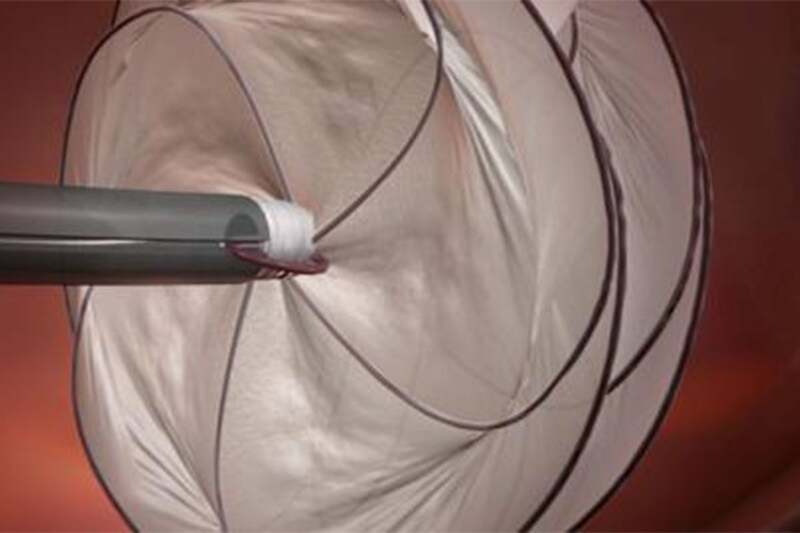 PFO closure with the GORE® CARDIOFORM Septal Occluder offers an advanced solution for stroke teams and their cryptogenic stroke patients. This approach to stroke prevention is proven in the Gore REDUCE Clinical Study, the only U.S. IDE trial that achieved its primary end point and showed the largest reduction in recurrent ischemic stroke**,1 in all PFO shunt sizes over medical therapy alone. Clear Data, Confident Stroke Prevention. ** The REDUCE study determined safety and efficacy of patent foramen ovale (PFO) closure with the GORE® CARDIOFORM Septal Occluder or GORE® HELEX® Septal Occluder plus antiplatelet medical management compared to antiplatelet medical management alone in patients with a PFO and history of cryptogenic stroke. All PFO anatomies were incorporated into this study within indicated sizing parameters of the IFU.